The Nike Air VaporMax Flyknit Utility puts function at the forefront. The design makes it easier and faster to lace up, while the collar hugs your ankle for total comfort. 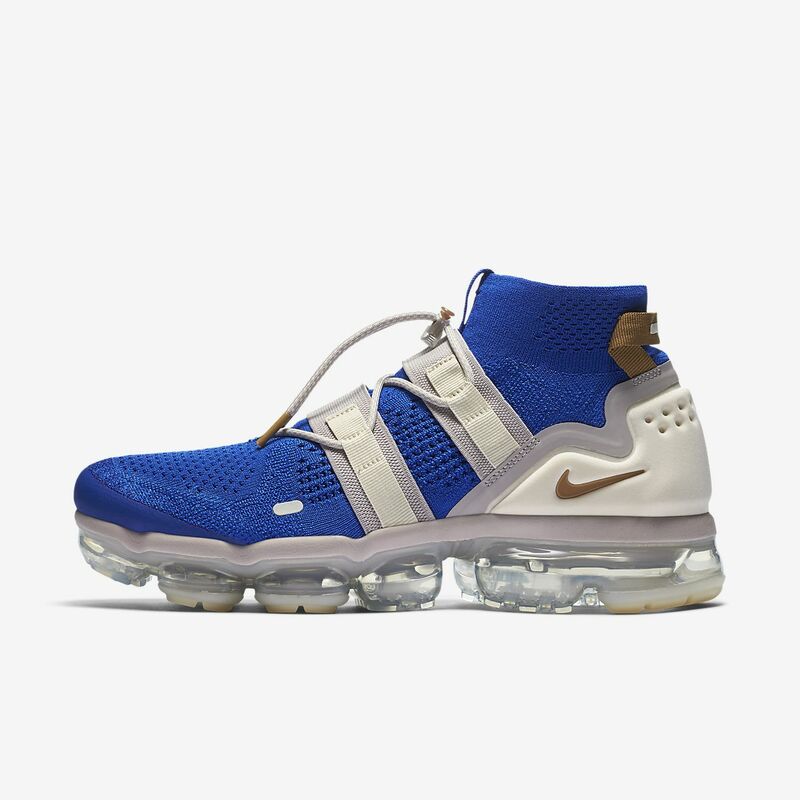 Building on the original, this take features added cushioning between your foot and the innovative VaporMax cushioning. In conjunction with the foam, the latest innovation of Max Air cushioning is lightweight and flexible with a bouncy sensation. Flyknit construction hugs your foot from ankle to toe for a light, sock-like feel. Nike Flyknit technology was inspired by feedback from runners seeking a shoe with the snug (and virtually unnoticed) fit of a sock. Nike embarked on a 4-year mission with teams of programmers, engineers and designers to create the technology needed to make the knit upper with static properties for structure and durability. Then the precise placement of support, flexibility and breathability—all in 1 layer—was refined. The result is a featherweight, formfitting and virtually seamless upper. This unprecedented precision maximizes performance while reducing the material waste of traditional cut and sew by an average of 60%. The equivalent of 6 recycled plastic bottles are used in every pair of Flyknit shoes, saving millions of pounds of material from reaching landfills. Shoes are great. Heel rubs a little like previous reviews describe. But overall, I'll be buying many more.